Pius XII – santo presto? Recently we discussed the impending expedited canonizations of the blessed popes John XXIII and John II, and the difficulties raised by the haste involved (not by any doubts regarding their sanctity). Two principal areas of concern were noted:that it might appear to be a case of popes looking after their own; and that their expedited canonizations might be part of an agenda to canonize Vatican II by canonizing the conciliar popes, which struck an atheist observer as a dubious strategy given the conflict that has riven the Church in the Council’s wake. Such an agenda gains a little more plausibility when we remember that Paul VI is also being considered for canonization. So it was with a mild sense of startlement that I read today the assertion that Pope Francis is considering canonizing Pope Pius XII, the last pre-conciliar pope, the bane of progressivist Catholics and often calumnied as “Hitler’s Pope” ( a charge historians are debunking with hearteningly increased frequency). The report cites an anonymous source in the Congregation for the Causes of Saints. The import of the piece is that not only is Francis considering canonizing the Venerable Pius XII, but doing so in the same way as with Bl John XXIII: without the validation of any miracles, but as a pure act of papal authority, invoking “scientia certa (certainty in knowledge), thereby jumping over the step of beatification”. The mixed feelings with which I read this article take some sorting through. One the one hand, it is cheering to see Pius XII being accorded the attention he deserves, given the calumny his reputation has endured over his policy towards the Nazi regime and its persecution and genocide of the Jewish peoples of Europe. 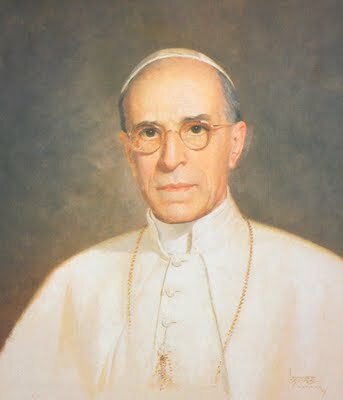 History will prove, and is proving, that Pius XII charted a highly difficult path through the murkiest of waters during World War II, balancing his concern for the welfare of the Church (surely a primary responsibility of a pope) and the need to afford assistance to the victims of Nazi persecution. He was never going to please everyone. In the end he opted to refrain from public and explicit condemnation for fear of a backlash against the Church in Nazi-controlled Europe, including the Vatican itself (as actually happened in Holland after its bishops spoke out too explicitly, a victim of which was Edith Stein, now St Theresa Benedicta of the Cross). Instead he used the resources of the Church in Italy and elsewhere, especially convents, to hide thousands of Jews and help them to escape. He was a brave, prudent pope, who loved the Church dearly and manifested a pastor’s heart, and suffered from the misunderstanding (and deliberate misrepresentation) of his policy of public silence and private assistance. His encyclicals are exceptional, and in them we can see the birth of the modern style of papal encyclical. He is yet another of a remarkable series of holy popes in the last 150 years. On the other hand, if true, this intended course of action suggests yet again an easily misconstrued preference for papal canonizations, reinforcing the sense that popes look after their own. In Pope Francis’ case it is probably completely unjustified, and the possibility that an action could be misrepresented is no adequate reason for not doing it. Of more concern is the haste. Not haste post mortem, since the normative 50 years have now elapsed since Pius XII’s death, but haste in the completing of the process, bypassing miracles and beatification to bring Pius XII straight to sainthood. Again, this is not to doubt either Pius XII’s sanctity nor the legitimacy of such an act of papal infallibility. Rather, more consideration should be given to the public perception of yet more corner-cutting for papal canonizations. If they are holy men (and I feel they are) their causes can withstand the rigorous process of investigation normally employed by the Vatican. Given Francis’ reluctance to call himself “Pope”, preferring “Bishop of Rome”, it would be a striking example of papal power. Whatever the pitfalls, problems and implications, one thing is sure enough: Pius XII is worthy to be raised to the altars of the Church. Surely all Catholics could agree with that. Today the Congregation for the Causes of Saints, with Pope Benedict’s XVI authorisation, promulgated decrees regarding a goodly number of causes currently before it. Two names grabbed the attention of this reader. The first was that of Archbishop Fulton Sheen, whose Heroic Virtue was declared. who died in December 1979, after a long and frutiful career as a teacher of the faith. He was a tele-evangelist before there were tele-evangelists, and his TV show, Life is Worth Living, followed later by The Fulton Sheen Show, were watched by millions. He is the only bishops to have won an Emmy award (two of them in fact). 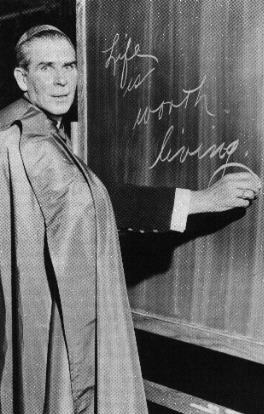 He was rather flamboyant by modern standards, but his appearance in full episcopal regalia, complete with ferraiolo, commanded attention, and was offset by his more down-to-earth method of using chalk and chalkboard to explain his points. Life is Worth Living is available on DVD, but much of it can be found on Youtube if you search a little. Though he held a doctorate from Louvain, his genius really lay in his ability to present the truths of the faith in a clear, accessible, amusing and uncompromising way, and to make the spiritual life attractive to the ordinary person at a time when “spiritual lives” were seen more as the preserve of priests and religious. He raised millions of dollars for the missions and expended himself unto death in service of the Church. 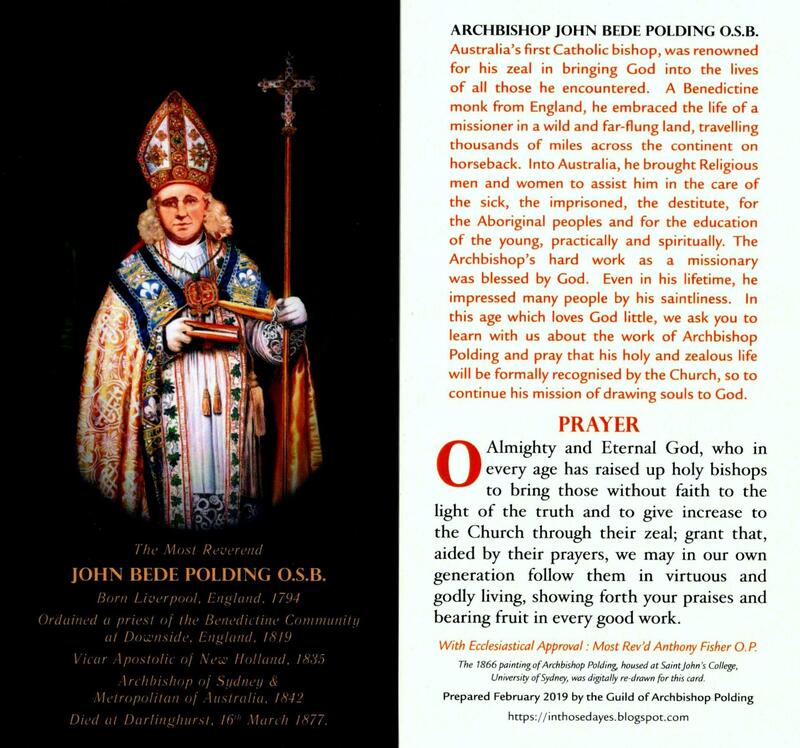 A superb preacher, his last homily was recorded in 1979, months before he died, and can be seen in two parts here and here. You can see more on his cause for sainthood at its homepage. 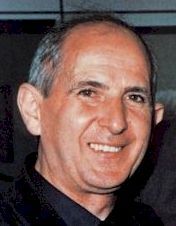 The second name was that of Fr Pino Puglisi, a Sicilian diocesan priest, who was murdered in 1993. By its decree today, the Congregation has declared that he was killed in hatred of the faith, and thus his murder was martyrdom. He was martyred by the Sicilian Mafia on account of his outspoken opposition to the control wielded by the Mafia over the everyday lives of his parishioners. 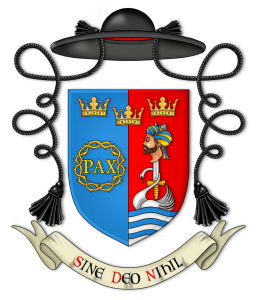 He had taken a parish in a rough area of Palermo, having refused the offer of more congenial parishes. He worked actively to encourage people to resist the Mafia, and tried to keep youth in school and away from Mafia influence. On his 56th birthday, in 1993, he was gunned down in front of his church, greeting his assassin, “I have been expecting you”. You can read more about him at the official website for his cause (in English also!). By today’s decrees, both Archbishop Sheen and Father Puglisi are confirmed as Servants of God and are accorded the title “Venerable”. It now remains for a miracle to be confirmed as being wrought by means of their intercession before the throne of God. When such a miracle is confirmed for each man he can then be beatified. If it be according to Your Will, for the honour and glory of the Most Holy Trinity and for the salvation of souls, we ask You to move the Church to proclaim him a saint. Through Christ, our Lord. Amen. grant, we beseech You, if it be according to Your Will, that for the honour and glory of the Most Holy Trinity, for the salvation of souls and for the edification of Your Church, You to move the Church to proclaim him a saint. Through Christ, our Lord. Amen.